This book contains ten generations of descendants of Alonso de Leon and his wife Juana Josefa Gonzalez. In 1635 he entered the Nuevo Reino de Leon (Nuevo Leon), and in 1637 he was one of the founders of Cadereyta. He is considered the progenitor of the de Leon last name in Nuevo Leon, Tamaulipas, and Texas. Alonso de Leon mentions in his will that he is the legitimate son of Lorenzo Perez and Adriana de Leon. As we can see he choose to use his mother’s last name instead of that of his father. He married Juana Josefa Gonzalez the daughter of Antonio Leal and Maria Gonzalez on September 23, 1635 in Huichapan, Hidalgo Mexico. He was Captain and served various posts in the villa of Cadereyta such as Procurador General (Attorney General), Justicia Mayor (Judge), and Alcalde Ordinario (Mayor). 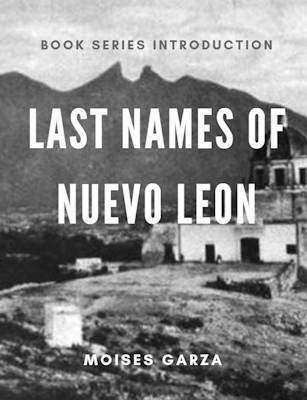 One of his greatest contributions was the writing of the history of Nuevo Leon that covers the period since its founding to the 1650’s. 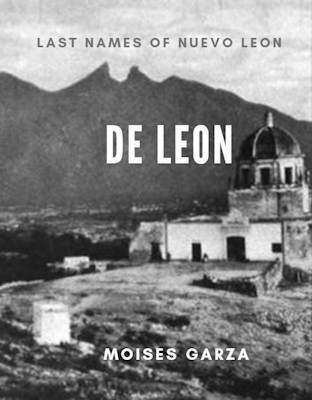 It is titled “Historia de Nuevo Leon con Noticias Sobre Coahuila, Tejas, Nuevo Mexico”. This book is an attempt to document the descendants of Alonso de Leon and Juana Josefa Gonzalez and even at 399 pages, there are many more to be discovered. Research is a never ending endeavor.